Under his advice, updating to iOS 5.0.1 will be safe in preparation for this jailbreak (however, if you require the ultrasn0w unlock–only update via custom firmware restores via redsn0w/PwnageTool). Exciting times indeed. Pod2g previously solved the iOS 5.0.1 untethered jailbreak for A4 devices, and provided the info to the Chronic Dev Team and iPhone Dev Team to release so he could concentrate on the A5 untether. What emerged was updated jailbreak tools redsn0w and PwnageTool, and the Corona untether available via Cydia. He also notes he has closed comments on his blog, as most were made by people who are downright crazy. Stay tuned for the iPhone 4S and iPad 2 jailbreak! 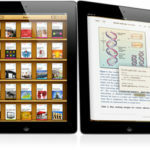 Apple January Event to Focus on iTunes University, Education, and Textbooks?